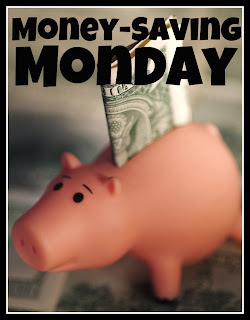 Oh boy...if I'm not careful, I'm going to have to rename Money-Saving Monday to Money-Saving Tuesday! I'm running behind again this week! I got so caught up in tracking sales and bloggie correspondence, that I totally let Monday come and go. 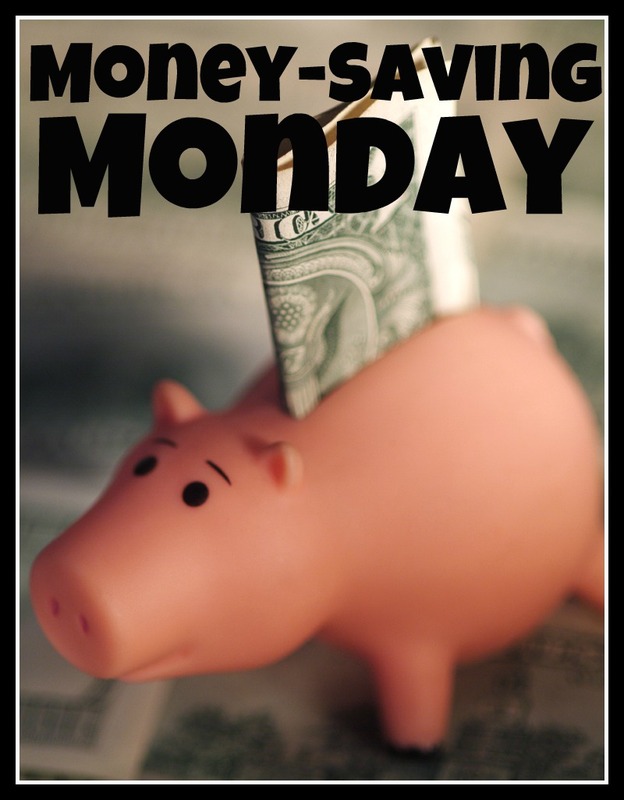 So here we are for installment 26 of Money-Saving Monday. 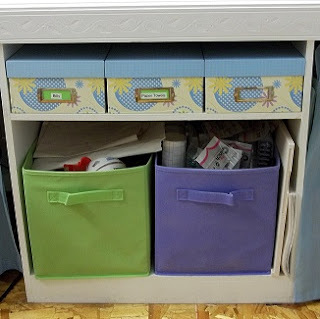 This week, I want to focus on a quick, easy, and cheap storage solution for all those unsightly tools and odd shaped things that really don't look so hot on display. Most major craft stores sell photo storage boxes for around $2 each (or less) when they're on sale. They're basically just cute heavy-duty cardboard shoe boxes. They're awesome to put all kinds of funky shaped stuff in, so that you can keep your craft room looking neat and uniform. 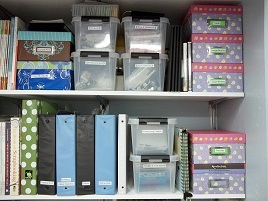 I know it would be cheaper to save up shoe boxes and just cover them with paper (as a matter of fact, there's a dark blue one in the photo above) but I really like the uniform size and shape and "matchiness" of getting all the same kind of storage boxes and stacking them. I think I have 11 of them in various places in my room right now...and they may or may not all be full of crafty goodies. *blush* Mine hold things like Smash*book accessories, baker's twine on unsightly cards, and punches that are too big to fit on my Ikea rails. I make sure to label them so I can quickly find exactly what I'm looking for!